A native of Novosibirsk, Russia,Boris Vayner has been enjoying an international performing and conducting career. Since 2005, Boris Vayner has been the violist of the Grammy nominated St. Petersburg String Quartet, intensively touring throughout North America, South America, Europe and Asia. The highlights of his career include performances at such venues as Carnegie Hall, Library of Congress, Amsterdam Concertgebouw, London King’s Place, Dublin National Concert Hall, and St. Petersburg Philharmonic Great Hall,and appearance at such festivals as Luzerne (Switzerland), Schleswig-Holstein (Germany), MIMO (Brazil), Buxton (England), Fishguard (Wales), Music Mountain, Rockport, Mainly Mozart in San Diego and many more. He has collaborated with such internationally renowned artists as Leon Fleisher, Michael Tree, Peter Donohoe, Anton Nel, and Misha Dichter. Boris Vayner is also a member of the St. Petersburg Piano Quartet that debuted in New York in May 2014. Since 2017, he holds a Lecturer in Viola position at the University of Kansas, Lawrence. From 2011 till 2015, Boris Vayner was the founder and the director of the chamber orchestra comprised of students and professors of the Wichita State University, the Suprima Chamber Orchestra. The orchestra successfully performed at the St. Petersburg Conservatory festival in Russia in 2012 and at the Barge Music in New York in 2014. In the spring 2013, Boris Vayner was invited by the Luther College, Decorah, IA to teach viola class and to direct the Luther College Philharmonic Orchestra. He has recently guest conducted with the Hays Symphony Orchestra, Kansas, and the chamber orchestra of the Uspensky School for Gifted Children, Tashkent, Uzbekistan. Boris Vayner’s professional background includes Novosibirsk Music College, the St. Petersburg Conservatory, and the New England Conservatory, Boston, majoring in viola. Currently, he has been pursuing Doctoral Degree in conducting at the Conservatory of Music and Dance, University of Missouri, Kansas City. 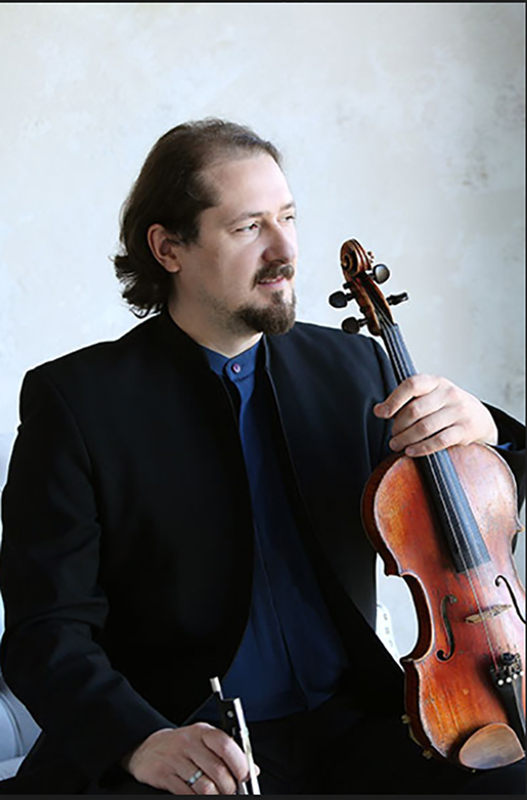 As a solo violist, he was a prize winner of the Gartow Fund Competition in St. Petersburg (2002). Besides performing, Boris is a successful arranger; his arrangement of Bach Chaconne for a string quartet was performed live on BBC 3 radio station in July 2012.